Rakesh search the property to stay on Rent and got the property with appropriate Rent and Finalize it and Sign an Agreement with the Owner. Later, Rakesh got to know that the Condition of House is not so good actually. So, he decided to leave the house and inform the same to the Owner. But Owner deny his decision by saying that Rakesh has to provide two months Notice in Written OR has to provide Rent for 4 months in order to have a permit to leave the house. Do you know why this happened? What is Lock in Period? Locking period prescribes the time period within which any of the parties cannot terminate the contract before the sending of the lock in period, if the party do so then he has to pay the rent for the remaining lock in period. So, there is a clause called Lock in Period which was involved in their agreement that if the Tenant wish to terminate the Agreement then he has to provide the Notice in Written of Two Months OR Rent for 4 months. Rakesh didn’t read the Agreement and signed the Agreement affirming that he is accepting all the terms and conditions which unfortunately brought him to this situation. Now he is helpless, He have to Stay in a House for 2 months OR have to provide Rent of 4 months. Rakesh could have avoided this situation if he had read the Rent Agreement carefully before signing. Most of the Tenants are not aware of the points that should be included in the Rent Agreement. Before Signing the Agreement, make sure that the person who is claiming to be a Owner of the Property is the actual Owner Or not. Ask for the Ownership Proof from the Person, Verify the Proof and preserve one photocopy with you for future reference. 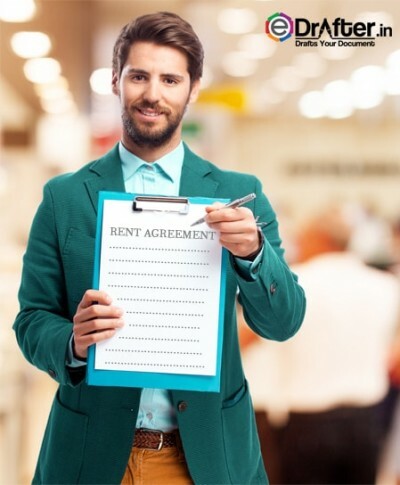 Discuss the Terms and Conditions before Signing the Rent Agreement with Owner briefly. Modify the Terms and Conditions as per suitable. Hike of Rent Clause – Check whether there is clause in hike of rent in the agreement, by which rent will be increased after the set period of time. Check this particular clause and the date and percentage of hike of rent and decide mutually with the Owner. Repairs and Maintenance – Check the clause of Repairs and Maintenance that the Repairs will be done by which Party. Lock in Period – Check that if the Agreement contain the clause of Lock in Period and if yes, then Check the Duration of Lock in Period and modify it as per suitable. Duration of Agreement – Check the Duration that what is the duration of the Agreement and when it will get expire and be prepare accordingly. Sale of House – Check the clause of Sale of house that if owner decide to sale the House during the agreement then how much time will tenant get to search any other accommodation. These are the few terms and conditions which needs to be check thoroughly, otherwise it is highly recommended to read and verify each and every clause mentioned in Rent Agreement before Signing and Accepting it. Check all the previous bills of house that whether they are paid or not in order to avoid any misshapen later. The Bills that need to be check specially are of Electricity, Water, Gas, House Tax. If you have paid any Token Money to the Owner then ask for the Receipt of the same and preserve it carefully. So, these are the basic things which Tenant should check before entering and Signing the Rent Agreement. We provide the fully drafted Rental Agreement including all the important terms and conditions. We provide service at the doorstep in which simply what you have to do is Provide us your details by filling up the form(designed securely to capture your data),place the order and we will quickly draft your Rental Agreement along with prescribed e-stamp paper and deliver it to you.